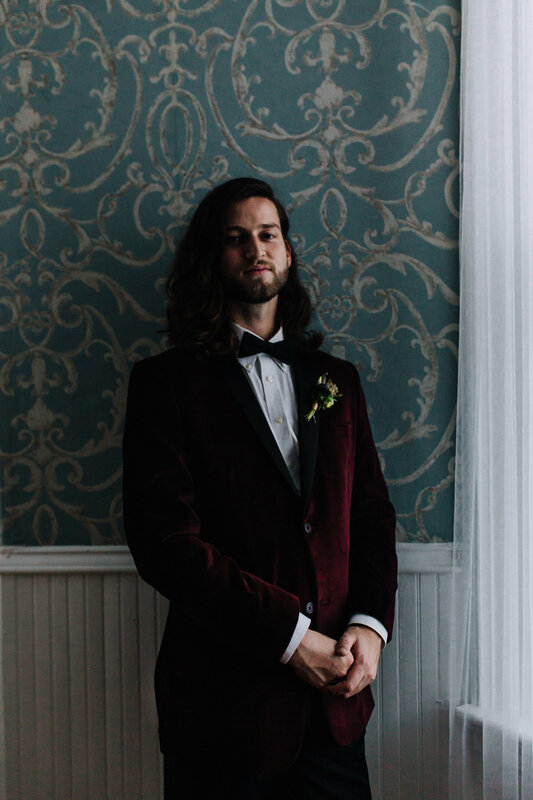 There are many ways to embrace a Southern winter wedding here in the Palmetto State—you can take advantage of the mild temperatures and have a peaceful beach bridal session or coordinate with the year-round greenery in an outdoor boho ceremony. 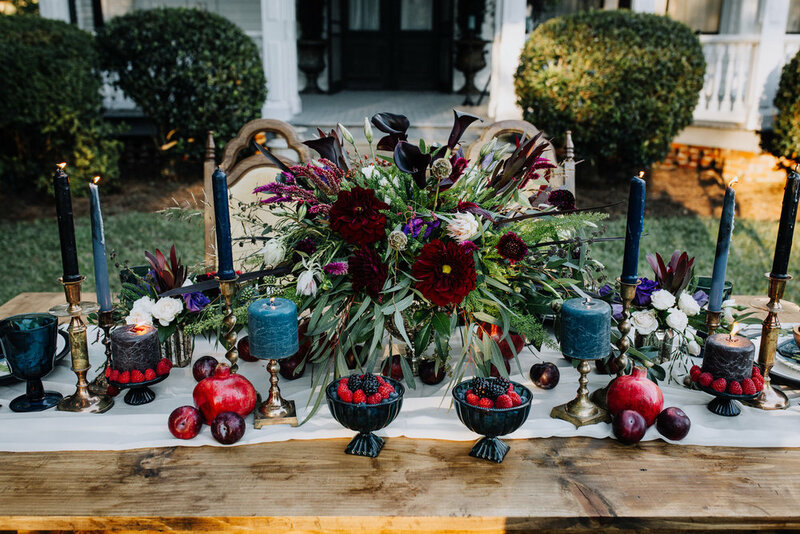 One South Carolina vendor team chose a different approach to the Southern winter wedding: a berry wedding with rich jewel tones, luxe fabrics, and a luxe-meets-rustic feel. 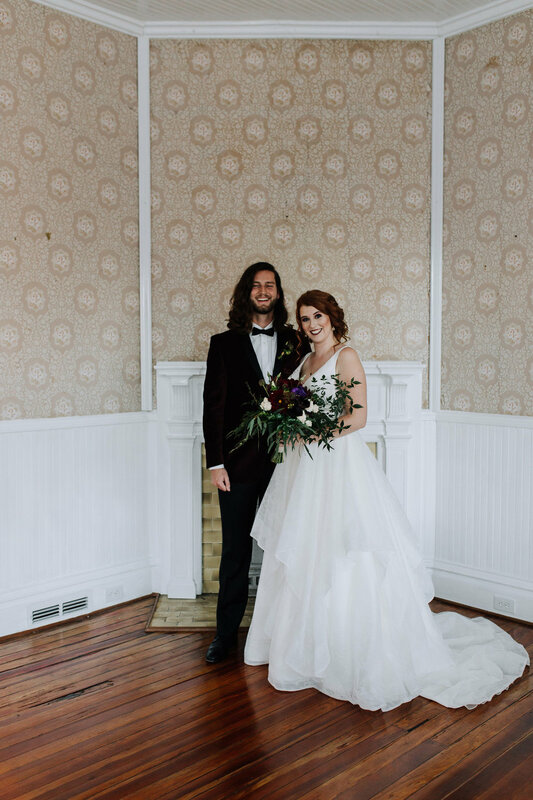 Set at the Thomas House and Garden in Ridgeway, the styled shoot highlighted the delicate architectural details of the venue, which contrasted beautifully with the darker color scheme. 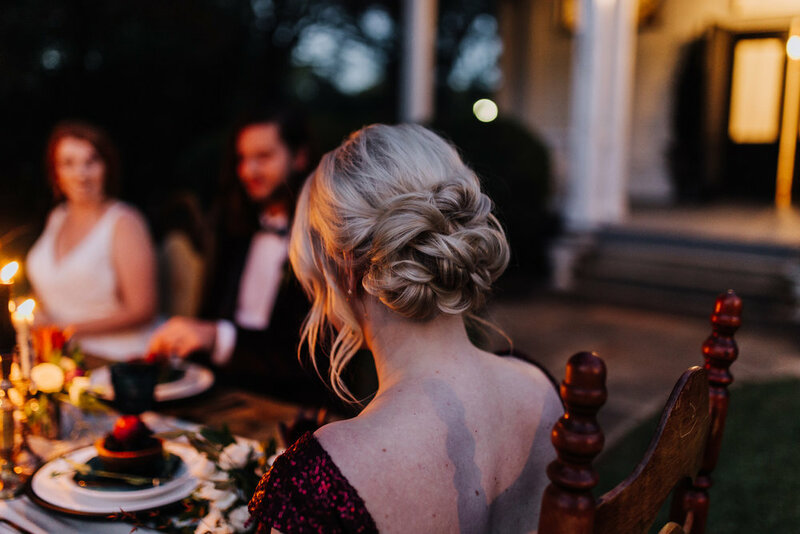 The shoot progressed through the day as the vendor team explored the property, ending with an intimate candlelight reception dinner on the front lawn. 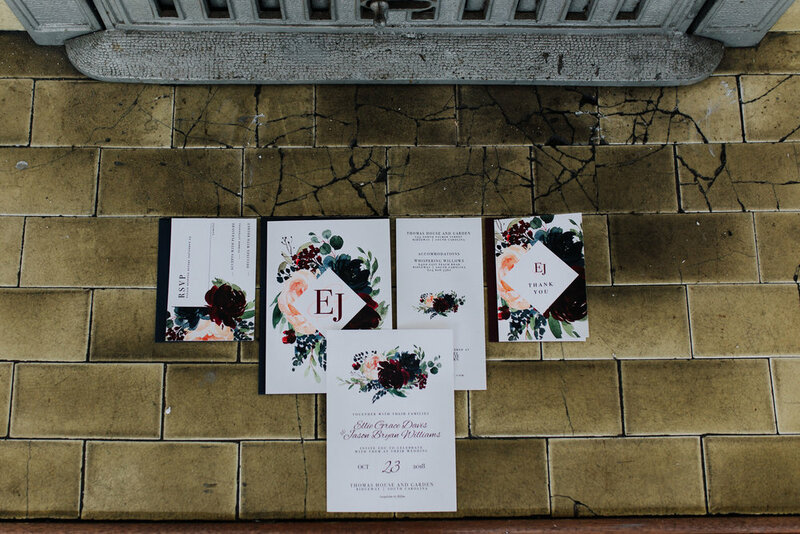 Envision your own luxurious winter wedding with this incredible color scheme, and embrace the moody, romantic feel! 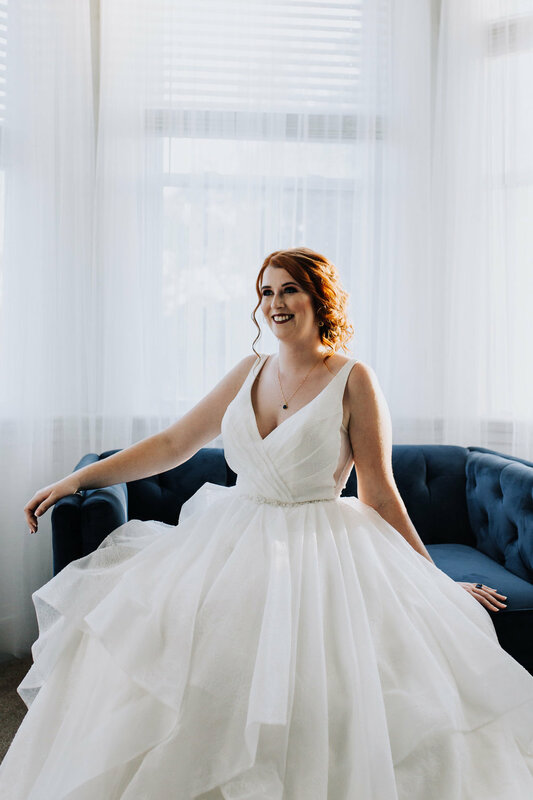 “We chose luxe textures to add even more depth and detail to this wedding style. The bride's dress features subtle floral details and lots of wonderful layers. 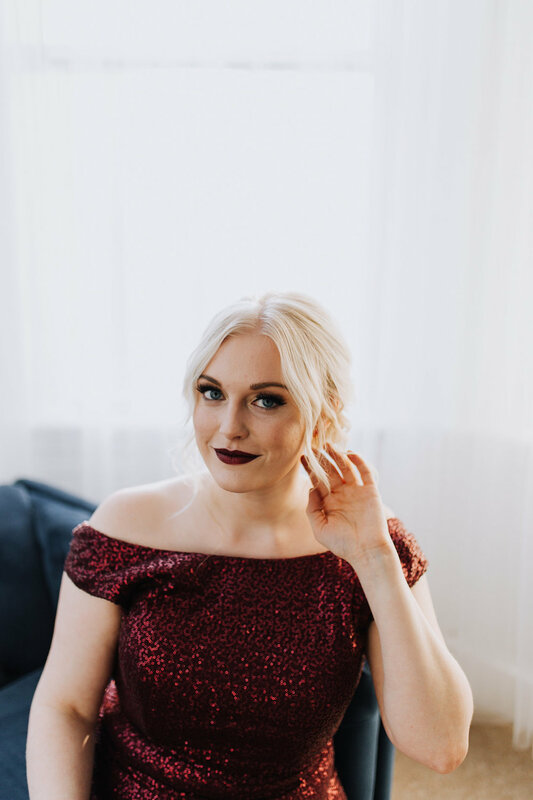 The bridesmaid wore a rich sequin gown, really adding to the modern details.